Here’s a refreshing reminder of just how quickly the media is catching up to today’s diverse diaspora. It’s no longer a big deal, at the Fishbowl end, to come across a woman wearing a full hijab on the cover of a major magazine. 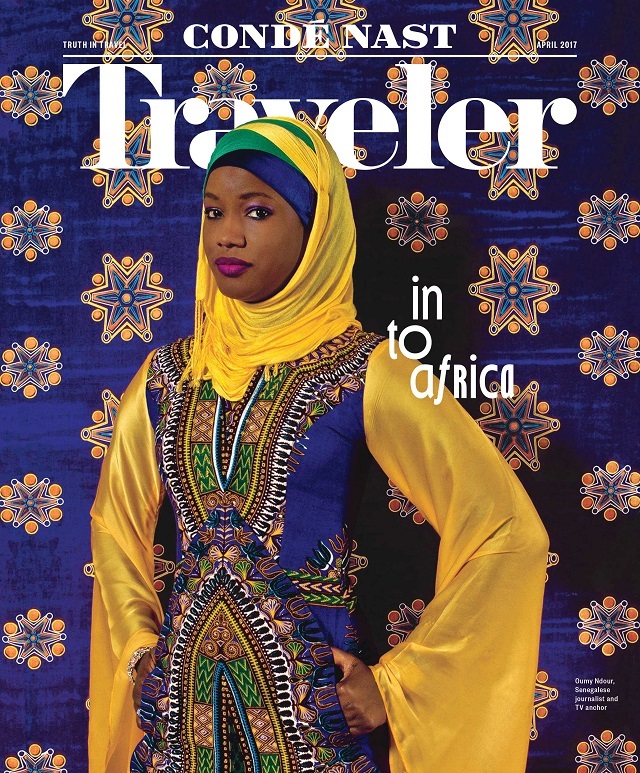 Nevertheless, in Africa, the sight of Senegalese TV anchor Oumy Ndour on the cover of the April issue of Condé Nast Traveler will be a happy source of pride. The issue hits newsstands Wednesday.